The day before I woke up like it was any other day and had my usual weekly doctors appointment check up. I was feeling fine and no signs of baby! Around lunch time I started getting what felt like period pain which seemed like nothing so I just continued my day. I went for a walk that night and practised my hypnobirthing breathing. Around 8pm Hayden came home to surprise me as he was working away for the week. His work said he could have the rest of the week off which was really lucky! I couldn’t sleep at all that night. It was sometime between midnight and 2:30am where I started having regular surges. I timed them and they were 5 minutes apart and lasting for 1 minute. I woke Hayden up at 3am and told him what was going on. We decided to call the hospital at 3:30am to let them know I was in labour, but I decided to stay home as I thought I was managing quiet fine! 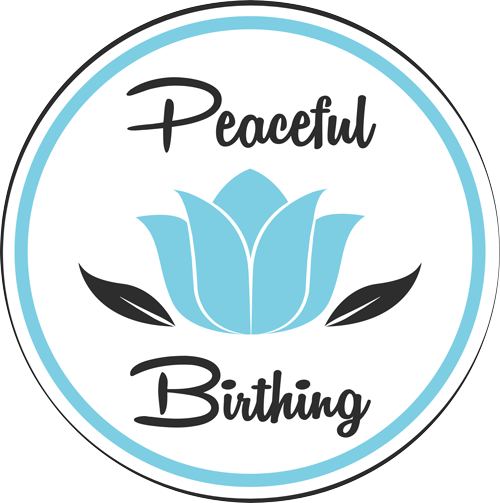 I used my hypnobirthing breathing and I think that’s what got me through until 3:50am when my waters broke. From then the surges were coming on strong. We live only about 5min from the hospital and I had 3 surges from home to there. I tried so hard to focus and control my breathing on the way. When we got up to the hospital I lasted half an hour and then asked for the gas. Hayden put on the hypnobirthing tracks and I felt better with them playing in the background. I remember the midwives saying how good the music was and that more people should come in with that positive energy. I was on the gas for an hour and asked for more pain relief. 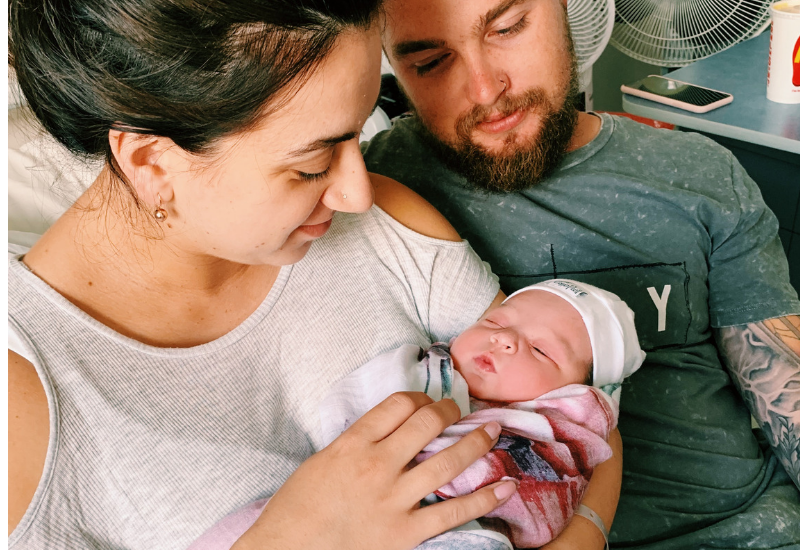 Both Hayden and the midwives worked with me to slow down my breathing. I then had the pethidine injection and felt a lot better. When it was time to push and I was kneeling on the bed as I wanted to either kneel or stand, but couldn’t stand as I had the urge to bend over. I remember the first push and I got scared, I couldn’t breathe and then started to throw up a little. Hayden said I went purple, after the first few pushes I felt like I got the hang of it and was determined to get my baby out. Unfortunately, Zahli got stuck as she was coming down on an angle. The midwives needed me to get on my back immediately. Zahli’s heart rate was dropping and I remember they were getting all the doctors together to interfere. I had an episiotomy done (which was the most painful thing as they knew they needed to get Zahli out and fast. They had numbed me but then cut me straight away) with two more pushes she was here! And what a relief! I of course was completely out of it and didn’t realise what was going on, the midwives cut the cord and put Zahli on my chest for what seemed like 2 seconds and then they put her on the resuscitation machine as she had stopped breathing. Hayden said she was blue. It was a very scary time! Apparently she had also swallowed a fair bit of mucus during birth, she was on oxygen for 4 minutes. It wasn’t until 10 minutes had past that she had got the all clear. A very strong and healthy baby! She was such a super star and is now doing amazing! We both are. We are absolutely smitten by her! Baby Zahli was born 7.52am 30th January 2019 8lb 8oz.